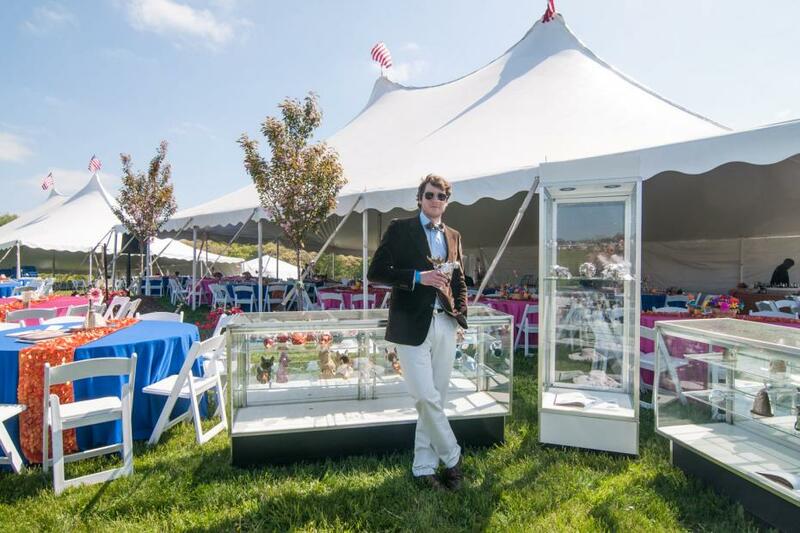 The Winterthur Point-to-Point offers the perfect opportunity to entertain clients, business associates, colleagues, family, and friends while showcasing your business to more than 16,000 people in one day! Point-to-Point sponsors receive numerous benefits on race day and throughout the year. Network and experience the camaraderie of watching the races from the finish line. Horses thunder past as you and your clients and colleagues dine on a delicious lunch in the beautiful Winterthur countryside. Watch the races from your seat at the finish line while you enjoy an elegant luncheon—a truly unforgettable brunch featuring a catered menu, gracious table settings, and VIP parking. Exclusive reserved table of 10 includes: 10 admission wristbands, 5 VIP parking passes, 5 programs, gourmet buffet, and beverages. Unreserved individual admission tickets are available. Please call the office for pricing. Call 302.888.4994 to reserve your party. Entertain up to 150 guests in a private tent. Tables, chairs, linens, landscaping, and flowers are included. Your guests will receive hospitality tent admission wristbands, VIP parking spaces, racing forms, and private restroom facilities. You can also enjoy a hand-picked menu (additional expense). Showcase one of Wilmington's greatest traditions from the perfect vantage point of Corporate Knoll, situated on the north course of the races on the finish line. For more information, please call 302.888.4992 or e-mail PTP@winterthur.org.